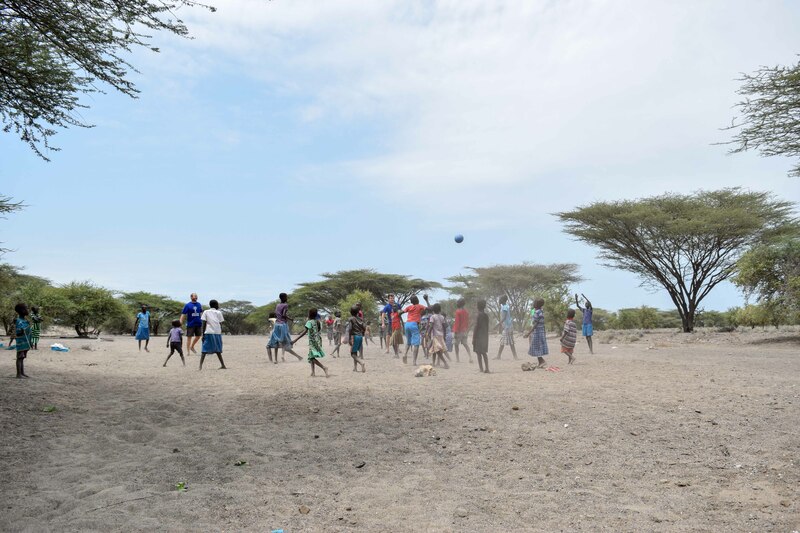 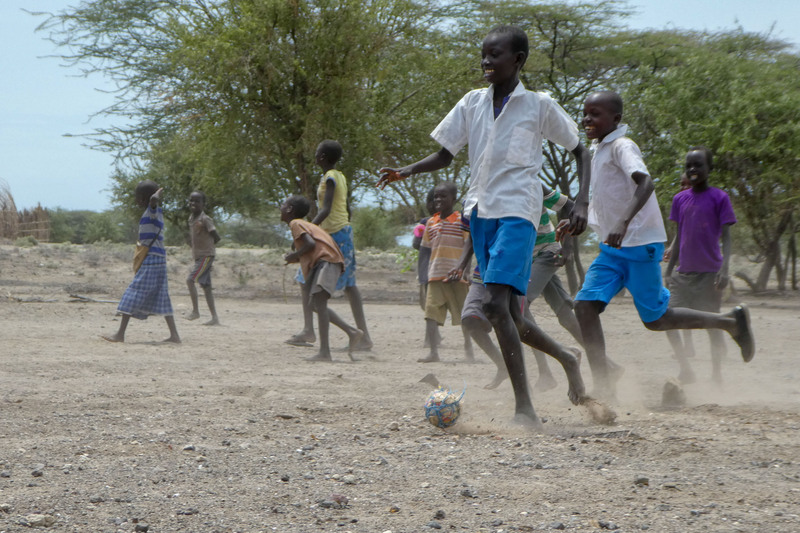 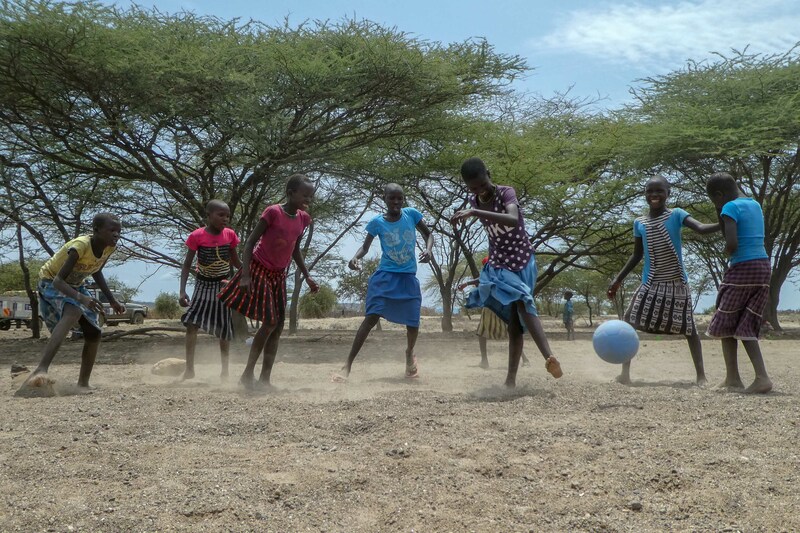 Driving north along Lake Turkana, from Kalokol towards the Ethiopian border, we drove by a football game in one of the many dried up river beds in the area. 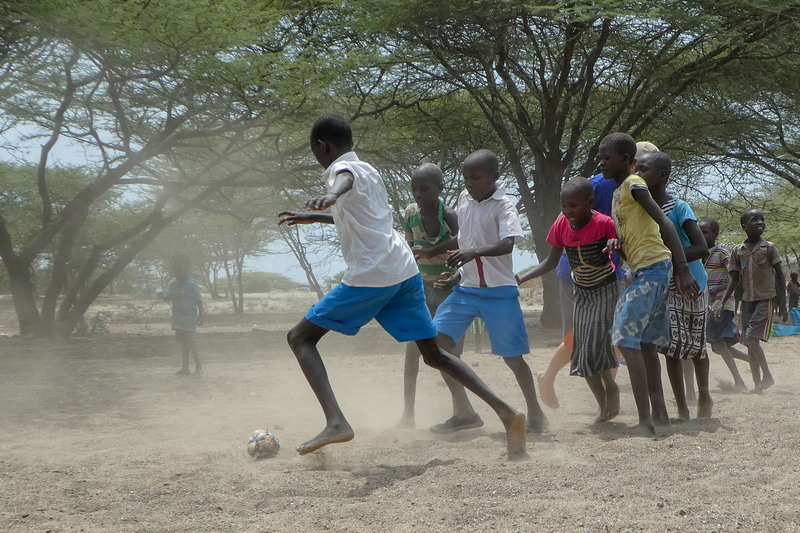 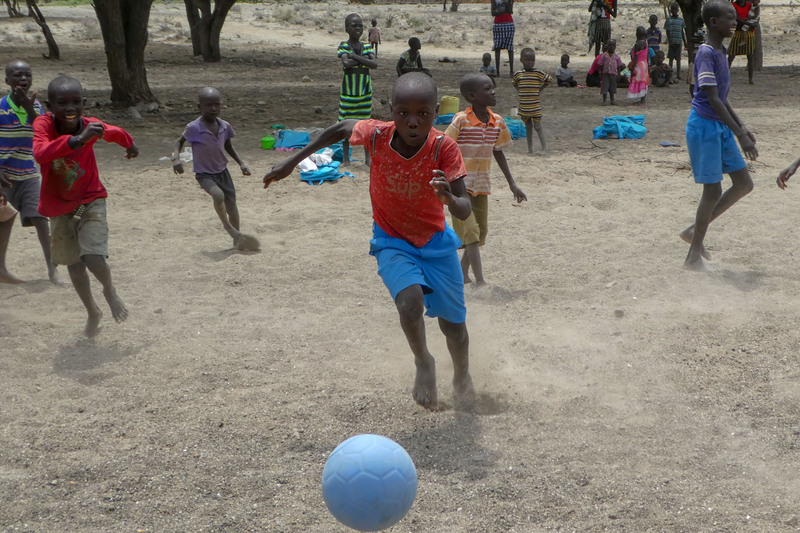 Around 30 kids were having a kick-about in the sand using an home-made ball constructed out of plastic bags, fabric and twine. 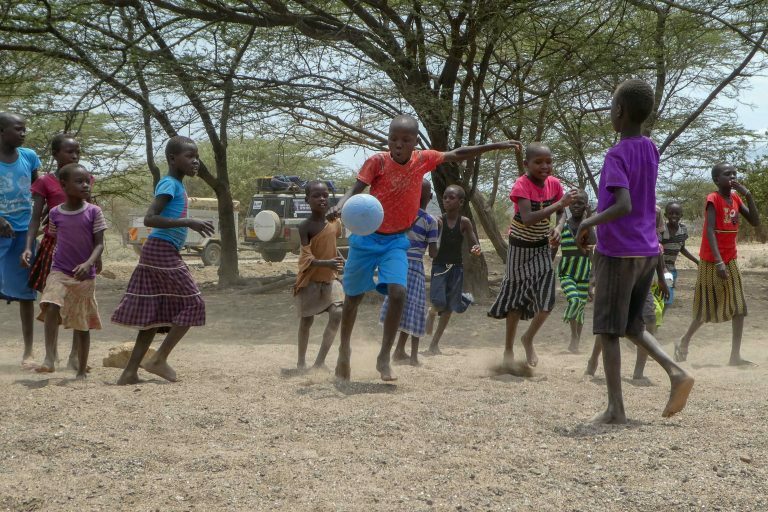 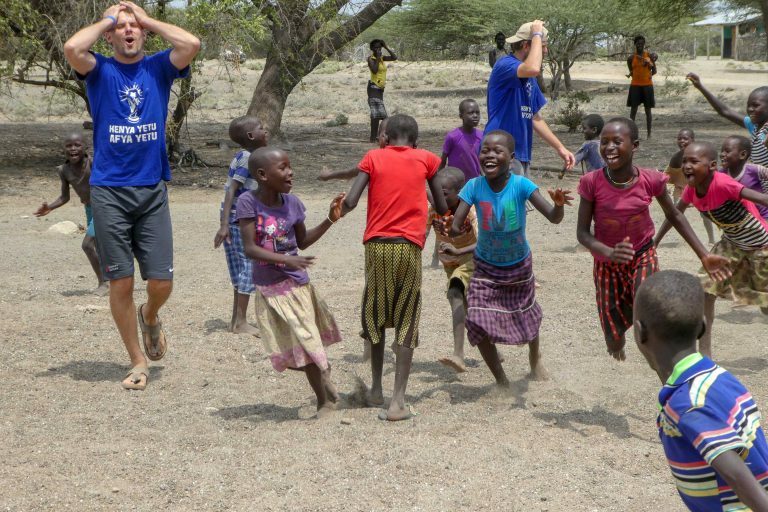 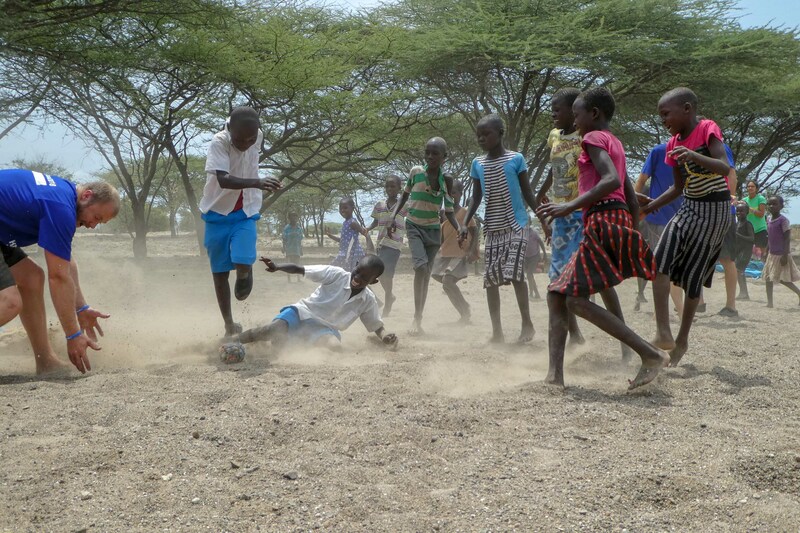 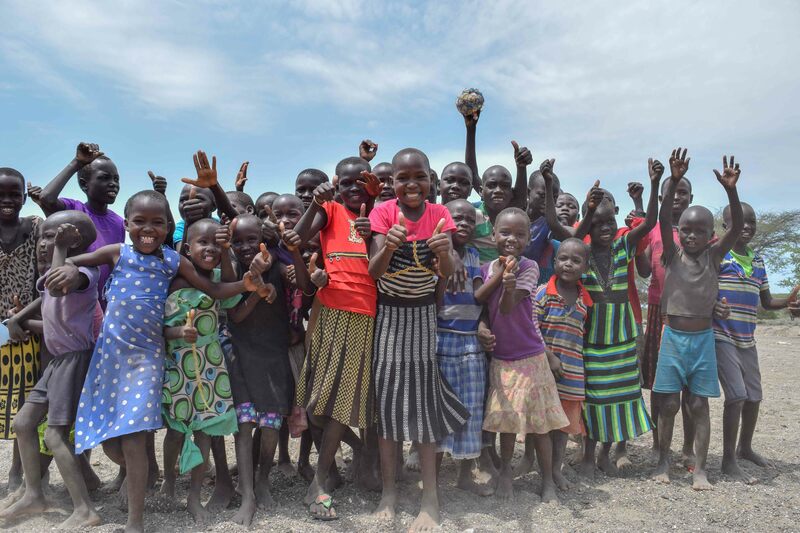 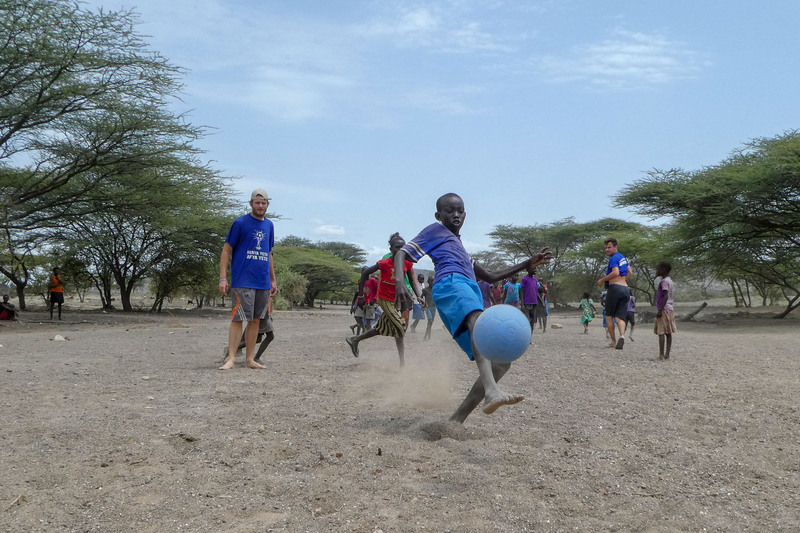 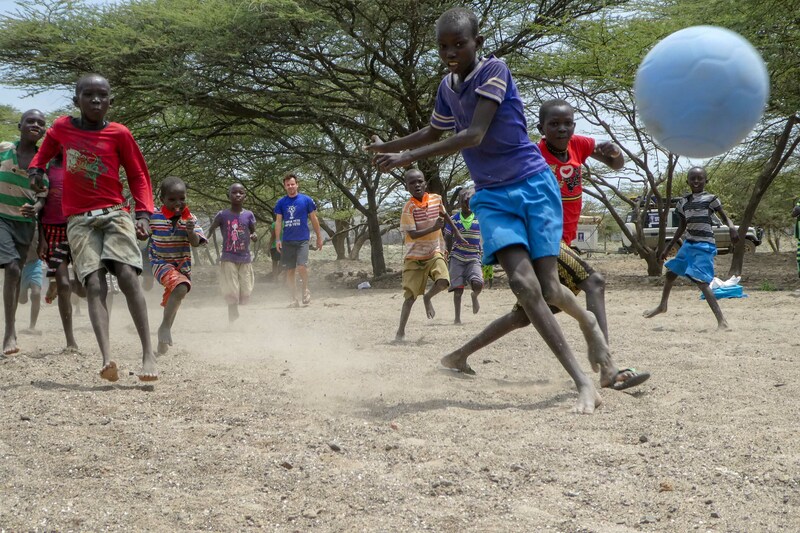 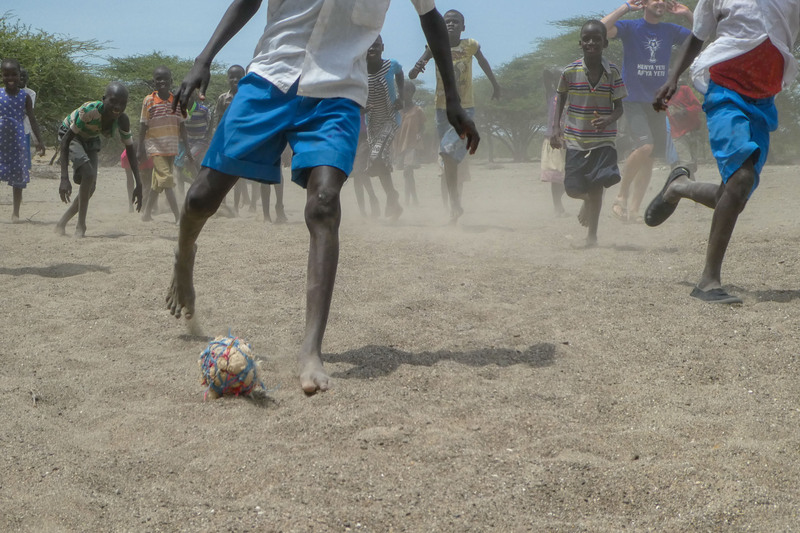 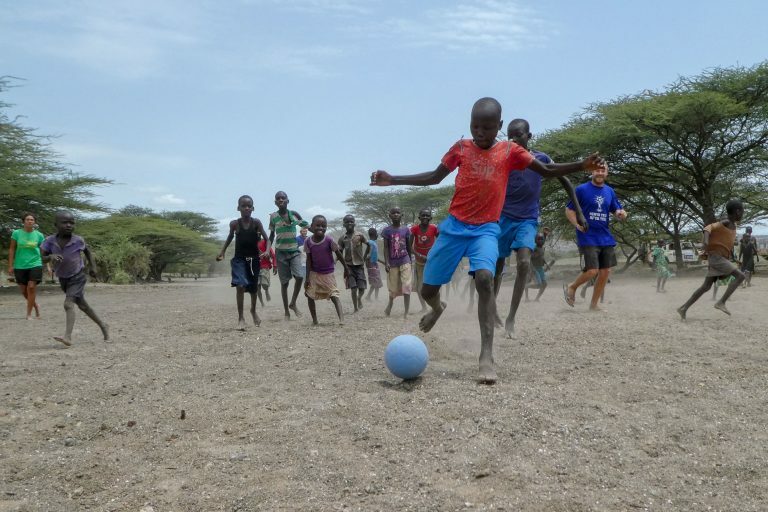 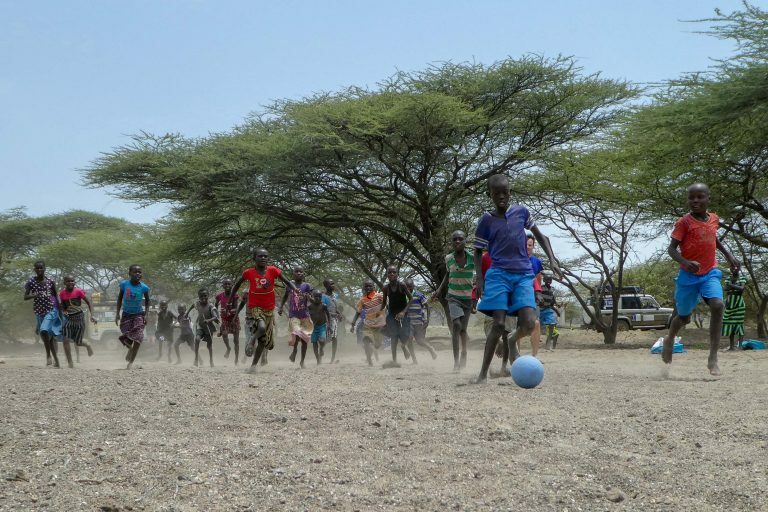 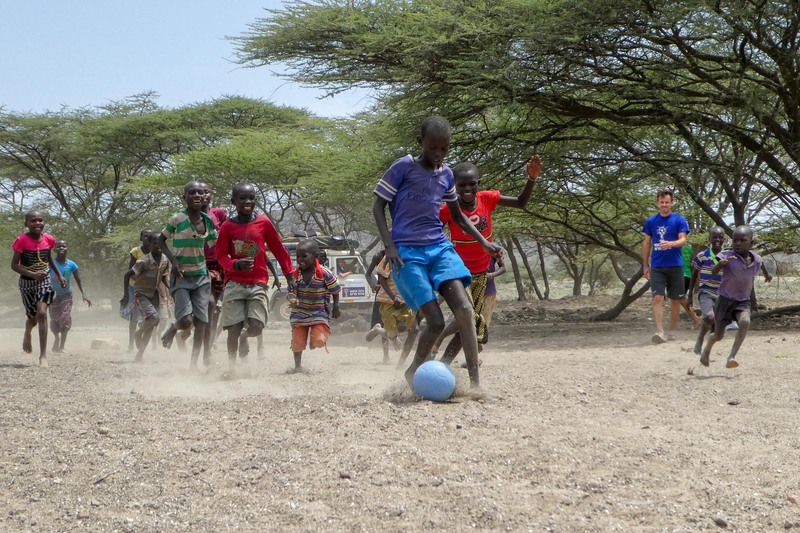 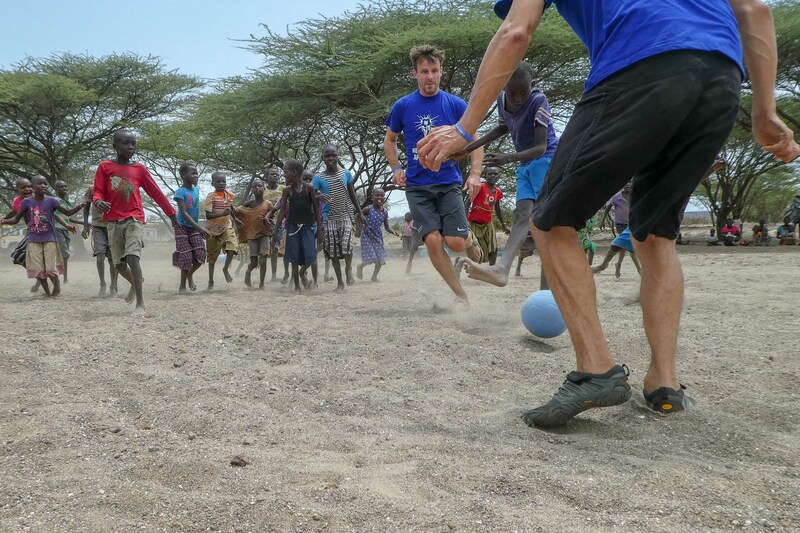 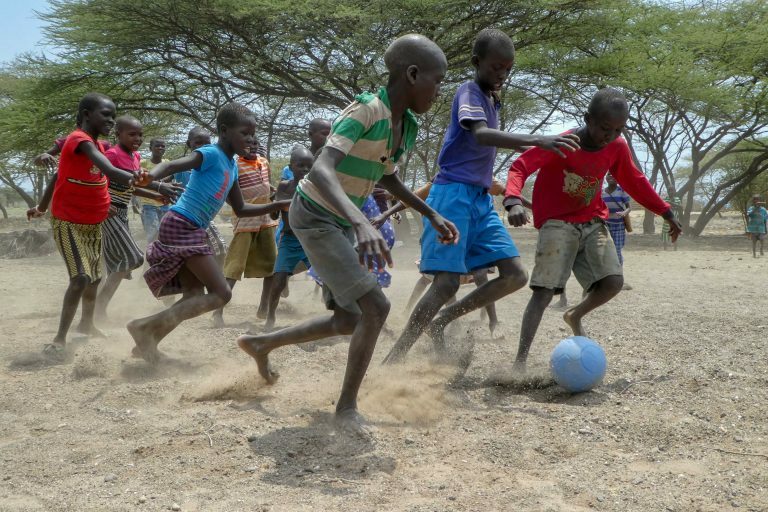 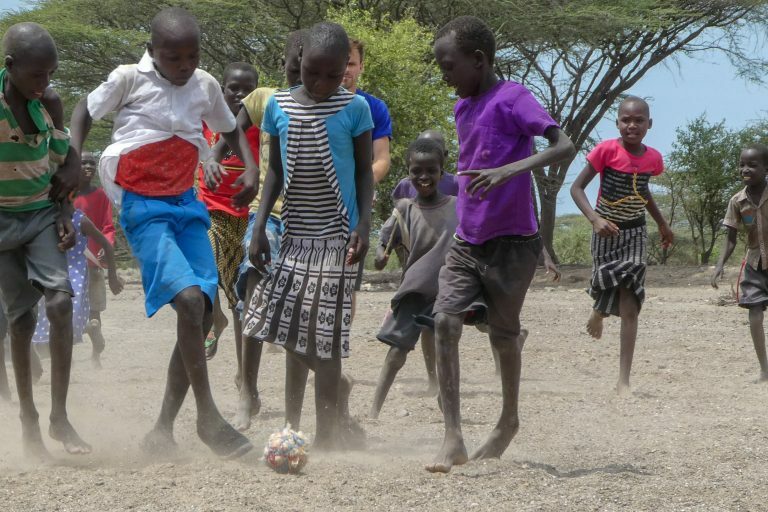 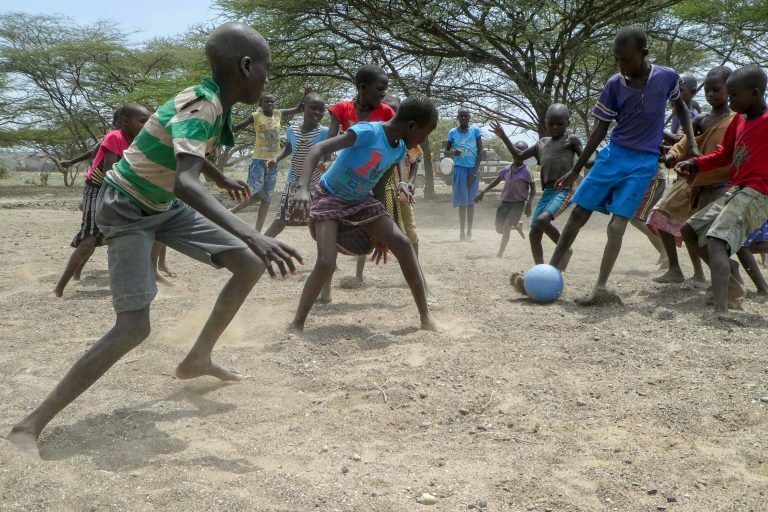 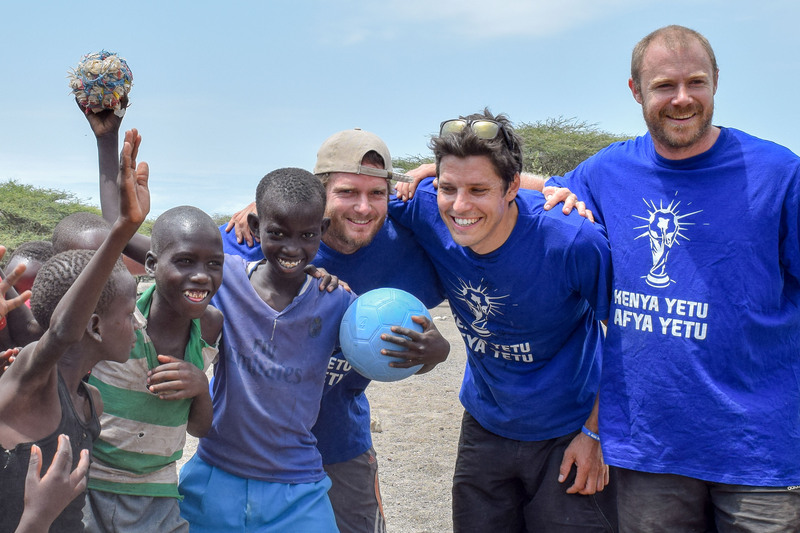 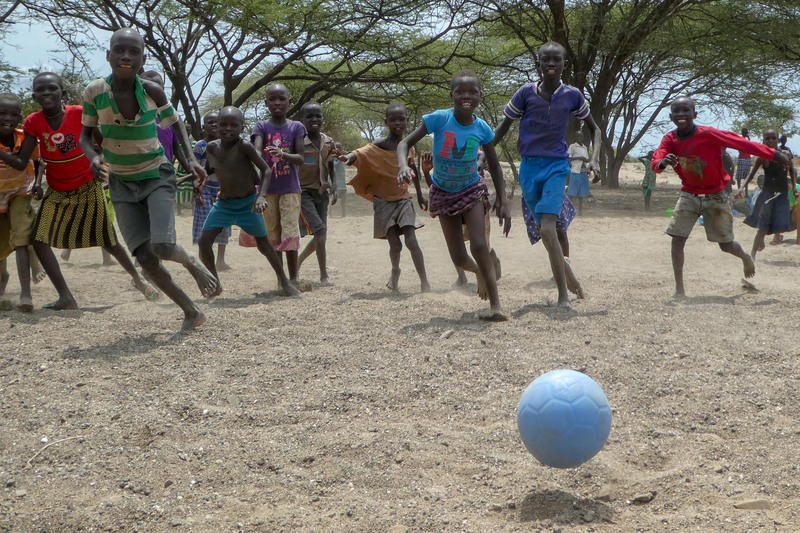 The Africa Goal team joined them for a quick game, trading their ball for an unpoppable One World Futbol which was enthusiastically received.